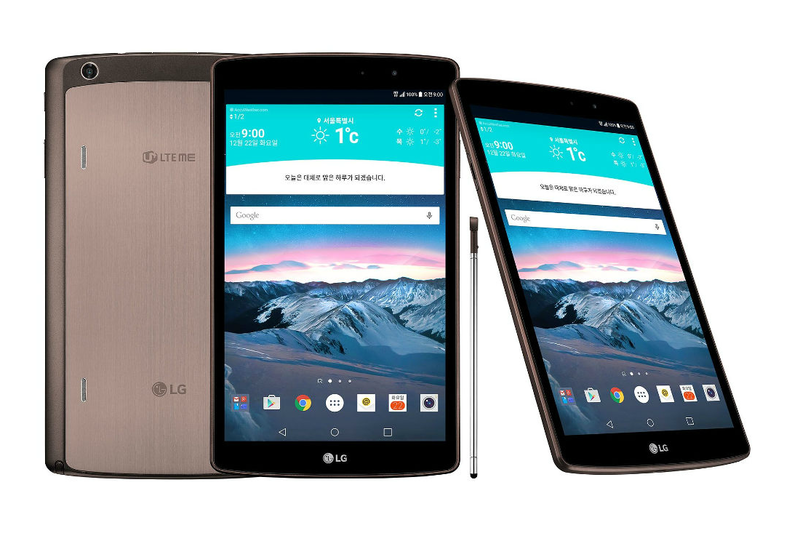 South Korean manufacturer LG releases an upgrade to its G Pad tablet – the LG G Pad 2 8.3 (II). It will initially only be available in South Korea, and then introduced to other markets in 2016. LG hasn’t communicated any specific dates for the expected launch date in New Zealand. The original version sold relatively well in LG’s domestic market, but never managed to succeed in any major export markets. The G Pad 2 tries to change this and LG is determined to produce a successful tablet. The specs look promising at a first glance. The screen measures 8.3 inches and comes with a 1,920 * 1,200 px resolution. There’s a fast Qualcomm Snapdragon 615-processor under the hood and the G Pad 2 comes with 2GB of RAM memory. The camera has been upgraded to a resolution of 8MP, and the second front camera to 2PM (the predecessor was 5 MP and 1.3 MP respectively). The tablet supports 4G/LTE connection, which the first version lacked, as well as Wifi and Bluetooth. The weight is 366 gram, which is relatively heavy for a similarly sized tablet. The OS is Android 5.1, and LG is currently working on an upgrade to Android 6.0 “Marshmallow” next year. This is a mid-range tablet that should provide good value for an expected modest price (the retail price in New Zealand isn’t known at this stage). It’s not particularly light and thin tablet, but it’s an option for consumers looking for a robust and functional tablet without the blows and whistles of higher-end tablets.